Dan Auerbach is best known as the front man for massive Ohio duo the Black Keys, a band who pull huge swing and tons of energy out of a simple, swampy blues-punk sound. As the band evolved their songs slowly became more dynamic, and their limited sonic palette expanded, but nothing prepared me for what I'd hear on Auerbach's brand-new project the Arcs. The band, which is a collaboration between Auerbach, Shins member Richard Swift, Dap-Kings drummer Homer Steinweiss, and a handful of others ditch the dirge of Black Keys and trade it in for dreamy, psychedelic pop. 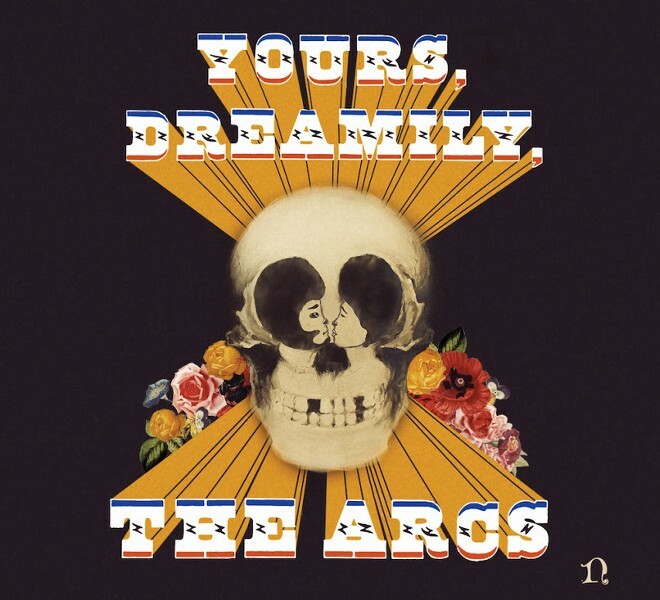 On today's 12 O'Clock Track, "Put a Flower in Your Pocket"—the first single from their upcoming debut LP, Yours, Dreamily—flowery guitars and organs swirl around Auerbach's smoky vocals, and the gigantic chorus could move mountains. Black Keys fans take note, the Arcs are now the band to watch. Check out the new video for "Put a Flower in Your Pocket" below. Yours, Dreamily is out on 9/4 via Nonesuch Records.